Oslo (AFP) - Russian ships docked at what was once a secret Norwegian naval base in the Arctic have prompted concern from the NATO country's former top military leaders, anxious about its resurgent eastern neighbour roaming nearby. Norway's jagged Arctic coastline has regained its strategic importance since tensions between Russia and NATO members have spiked to levels not seen since the fall of the Soviet Union. The rocky relations have led some to criticise the shutting down of Olavsvern Naval Base, a massive complex burrowed into a mountain near the northern town of Tromsoe, that has been closed since 2009. Shuttering it was driven by the then seemingly reduced threat from Moscow and its massive Northern Fleet based on Russia's nearby Kola Peninsula. "We sold the only base worthy of the name that we had up there. It's pure madness," former vice admiral Einar Skorgen, who commanded Norway's northern forces, told AFP. 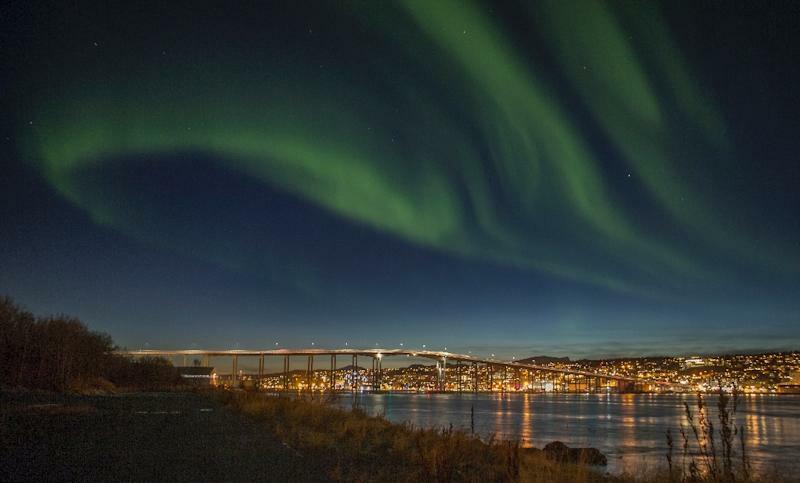 Skorgen and other critics say Norway has robbed itself of a crucial foothold in the far north, forcing its submarines to travel hundreds of extra miles from their bases to defend the region. On top of that, three Russian ships have spent the winter docked deep within the mountain hideaway, once a closely guarded military facility. "We are the only country along with Russia to have a permanent presence in the Barents Sea, where we share a common border. Obviously our navy should be stationed there, including our submarines," Skorgen said. "If the ships aren't there where they are needed, they might as well be scrapped altogether." The way the base changed hands and ended up being rented to Russian research vessels -- some of them seismic survey ships reportedly linked to state-owned energy giant Gazprom -- has added further fuel to their anger. When no buyers answered the armed forces' initial advert on Norway's version of eBay, a Norwegian businessman clinched the deal in 2013 for a mere 40 million kroner ($5 million, 4.6 million euros) -- a steal given that NATO ploughed nearly 4 billion kroner into its construction. "There are no longer any secrets surrounding this base," said its new landlord Gunnar Wilhelmsen. "Not since the military and NATO agreed to put it on sale over the Internet, along with photographs of every nook and cranny." Nonetheless, the potential for Russian military activity aboard research vessels has many military experts worried, particularly former top-ranking officers who are more prone to speaking their mind. "Russia is a country where the state has a say over all commercial or semi-state business. It's clear, very few people know what happens on these vessels," said retired vice admiral Jan Reksten, formerly second in command of the Norwegian military. He said the sale of Olavsvern was "a double loss" as "Norway's armed forces lost an important base and now there are Russian vessels docked there." In an ironic twist to the tale, the decision to close the base was taken by the leftist government of Jens Stoltenberg, who has gone on to become NATO's current secretary general and who has warned countries not to lower their guard when it comes to Russia. Kjell-Ola Kleiven, a blogger writing on security issues in Norway, calls the affair the "biggest blunder in recent history" in an oil-rich country which boasts the world's largest sovereign wealth fund. "With 7,000 billion kroner in the bank," he wrote, "you would have thought that the Norwegian nation had the means and savvy to retain ownership of Olavsvern base." Despite the protests, Norway's current right-wing government has shown no signs of reversing the decision made by its predecessors. "There are no plans to re-establish military installations in Olavsvern," Audun Halvorsen, political advisor to the defence minister, told AFP in an email. "The owner of the site can use it as he sees fit and the armed forces do not have the authority to impose restrictions, nor any mandate to monitor civilian ships that dock there," he added. "Any suspected irregular activity is a matter for the police and legal authorities."